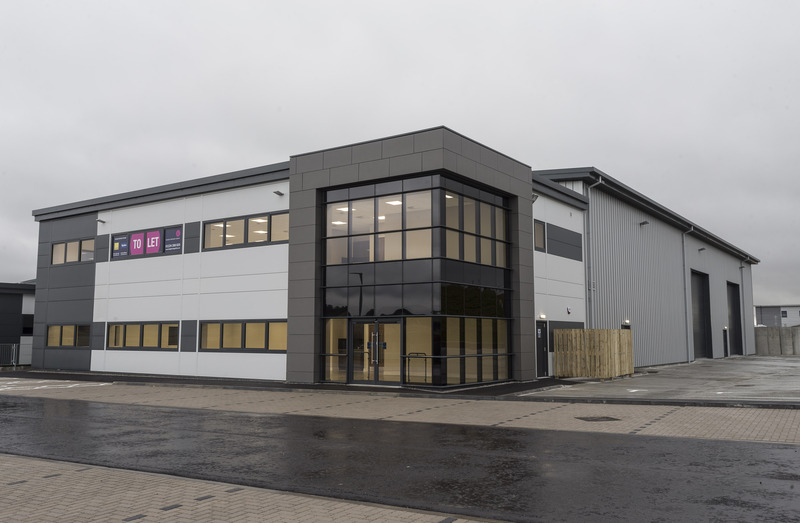 Aberdeen based commercial property developer Knight Property Group have announced the second letting within the newly completed Kingshill Commercial Park, Westhill. Offshore oil and gas specialist AIS Limited have signed a 15 year lease on Unit 3 within the commercial park, adding to their existing office space situated in Knight’s neighbouring development, Kingshill Park. Kingshill Commercial Park consists of 10 buildings, ranging between 10,000 and 17,000 sq ft, and located within a highly sought after location. The expansion for AIS will allow the company to benefit from; 5,498 sq.ft of open plan office space, 10,002 sq.ft of workshop, 12,928 sq.ft of concrete yard, 8.5m external eaves height, high bay lighting and 45 parking spaces. AIS Limited currently occupy space within neighbouring office development Kingshill Park, which is also owned and developed by Knight Property Group. Knight Property Group are delighted that through the flexible range of products they offer, that they are able to cater to AIS’s new needs as they decide to grow within the North East.